And I’m going to confirm something you’ve probably suspected for a long time: most stocks aren’t worth the paper they’re printed on. Right now, you have roughly 3,600 individual stocks to choose from in the U.S. markets. And, according to Reuters, most of these 3,600 stocks collectively generate lifetime returns that are LESS than what you’d get with a one-month Treasury bill.. I wish I was kidding, but a recent Arizona State University study backs up Reuters claim. For every 100 stocks you can buy, 96 will pay less than a risk-free T-Bill – or even worse – lose your hard-earned money. In other words, your return with most stocks in the U.S. market is less than 1% annually, on average. If most stocks average less than 1%, why is the stock market soaring? How did it reach $30 trillion in value? Where does this massive wealth come from? This wealth comes from the remaining 4% of stocks that you can buy – or roughly 145 of today’s 3,600 U.S. stocks. But still, figuring out which of today’s 4% – the 145 distinct companies – is the hard part. Some will pile on profits fast, while others drag out gains for years… even decades. The odds are stacked against you if you’re running out of time to build your retirement fund. Which is why I was determined to turn the odds in our favor. And why I developed my DATA system. Quite simply, DATA flips the script on the odds, giving you a winning edge in the stock market. And the opportunity to double your money every 22 trading days – or about once a month – on average. And it does this in two steps. I’m talking about companies that have fueled the skyrocketing stock market over the past decade. In today’s market of 3,600 stocks, that’s still 145 or so companies – far too many to invest in all of them to make sure you get the fastest, biggest gains. Every day, DATA sorts through all of the stocks in the market and redefines the Top 4%. And that group has raked in the money over time. And there’s Apple… up a whopping 768%. That’s multiplying your money many times over with the biggest names in the market today. How about Salesforce? This stock is nipping at Apple’s heels with a 692% gain. Then there’s Amazon. This giant had a 2,144% gain in ten years. Anyone who invested just $1,000 in Amazon, as one example, now has over $22,000 in the bank. To score gains like these, you have to find the 4%. Then, you also have to buy these stocks at the right time. Plus, you have to wait – sometimes for years – to see these massive returns. On top of all that, you have to live through volatility along the way. So, if you need more money now, like the millions of Americans who have little or no retirement savings, you need a faster way to take advantage of these elite companies. As I mentioned, you normally find about 145 stocks in the market’s top 4%. Yet, DATA narrows this list even further, finding the stocks that are set to soar in the near future. As I write this, only 34 stocks had the “right stuff” according to DATA. These made it onto my watchlist. That improves your odds for making money even more. But DATA still didn’t stop there. My system continuously analyzes the stocks with the “right stuff,” assigning a percentage as to how likely it is that each stock’s share price will rise in the short term. Only stocks that score an 80-95% chance of going up make it to my recommended portfolio. And, to get to those recommended few, after DATA assigns that percentage, it ranks all of the remaining plays – in this case, 34 – so I can perform my final analysis. Then, and only then, will I recommend an investment. But all of that effort pays off. Since we’ve started using my DATA system, we’ve averaged a triple-digit winner every 22 trading days on average. That comes out to less than a month in real time. Name me another service that can double your money every month. Sometimes, it’s a lot faster – in as little as seven days. Doubling your money inside of a month can turn small investments into huge windfalls very quickly. Now, if this sounds too good to be true, I completely understand. But this is more than theory. If you could have invested just $1,000 in these six plays alone, your money would have grown to $14,380 – in just six months. Double that investment to $2,000 in each, and you could’ve had more than $28,700 to spend in any way you like. Like I said, on average, DATA hands out a triple-digit winner every month. DATA is the most accurate and fastest way to make money that I know of. I’m talking about getting fast, triple-digit gains, rather than holding stocks for years and riding out stomach-churning ups and downs. Now, don’t get me wrong. You can and should have some long term investments in your investing arsenal. I do. Winning on short term trades while I also compound wealth in long term investments. It’s the fastest way to riches that I know of. And I’ve been building wealth this way for more than 30 years. If my name sounds familiar, you may have seen me at one of the MoneyShows held across the nation. 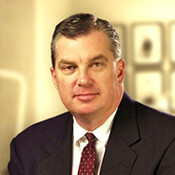 You may have also seen my quotes in publications like Forbes, Business Week, or MarketWatch. I’m often asked to share my views on the markets and the trends that affect your money. But I do a lot more than share my views. I also make money for myself and for investors like you. For more than 10 years, I’ve helped individual investors collect hundreds, even thousands, of dollars in regular income… often with checks of $347… $455… $910… or more, every month. So, over the next few minutes, I’m going to show you how my DATA system works and – more importantly – how you can start using it today. Over ten years, some climbed 217%… 692%… and as much as 2,144%. But these gains came from holding shares for the long term. DATA gives you another way to profit from the top 4%… and do it faster. If you’d bought this stock when it first appeared on the market in July 2015, you would now have gains of roughly 113%. A $5,000 investment would be worth about $10,650 today. That’s a solid return anyone would be happy with… including me. But I designed DATA to go for more. When you look at this shorter time frame, you can see how rocky the climb up can be for stocks, especially stocks with fast growing companies. And PayPal is no exception. When you hold a fast-growing stock like PayPal, volatility is the name of the game. But What If You Could Use this Volatility to Make Fast Money? What if you could get in right when a stock is on the rise… and get out quickly with double- or triple-digit gains before it drops? If you think I’m crazy, I don’t blame you. That isn’t easy to do. In the span of just six months, the stock rose five times… only to fall almost right back to where it started. How could anyone know the right time to buy the stock and when to jump ship? Especially on such a short time frame. But that’s why I developed DATA. I wanted a system that could tell me, with certainty as high as 95%, when a stock would climb for at least the next 22 trading days, and then when it was time to get out. Let’s take another look at PayPal. This time, we’re focusing on the stretch between mid-December 2017 and February 2018. This is when DATA signalled that PayPal was on course to soar for at least 22 trading days. Sure enough, that’s just what it did. Then, in mid-January, less than a month later, DATA signalled that PayPal was set to plunge over the next 22 days. I ended the trade before the stock took that dive. Total gains: 304% in 28 days. This time, a $5,000 investment could have left you with $20,200 in less than a month! With my DATA system, you don’t fear volatility, you clean up on it. You get in and out fast with gains that normally take years to build. So how does DATA find winning trades in volatile markets when it’s virtually impossible to know where a stock is headed? The answer is Artificial Intelligence, or AI. Now, AI is a buzzword these days. But AI is far more than an abstract trend. Chances are, you use it every day. Amazon and Netflix use AI to run their virtual personal assistants. Apple’s Siri, Google’s Assistant and Amazon’s Alexa all depend on AI. And the most powerful form of “deep learning” AI powers things like Google’s search engine and Tesla’s self-driving cars. So it’s not surprising that AI has made its way into investing. Now, to be clear, AI is not the computer software that most investment firms use today. Most firms use traditional software that sorts data by following straightforward rules. For example, an investment firm may use software to find every stock that meets certain criteria. And the software will do this, again and again, until a technician programs it to do something different. Artificial Intelligence is a whole new ballgame. For one thing, AI algorithms analyze mountains of data. An AI algorithm can easily run through every bit of technical and fundamental data for every single one of the world’s stocks. In addition to this, AI algorithms analyze a wide range of data that’s nearly impossible for people to sort through. I’m talking about job posts, credit card transactions, social media discussions, historical statistics, and a whole lot more. AI sifts through reams of information to find connections between all of these data points. It also identifies new patterns – patterns that investment analysts could never find. Then, it compares everything it finds with historical patterns and data. Which stocks are about to take off… or fall behind. If this wasn’t enough, an AI system “learns” by updating itself, with almost zero human input. This is why some of the world’s biggest money managers – like Goldman Sachs and The Man Group – use AI for trading. And why Eric Schmidt, Executive Chair of Alphabet, believes all trading will be done with AI within 50 years. But I want to take advantage of AI’s power right now. That’s why I worked with a team of software engineers to customize a proven AI system. As I’ve mentioned, I named this system DATA. And I designed it to double your money. Since inception, my investors have had that chance roughly every 27 trading days. Imagine doubling your money, in less than a month, 12x throughout the year. Depending on what you invest, you could turn small amounts of cash into $2,000… $5,000… $10,000 or even more, every month. These are the four percenters that I talked about earlier – the businesses responsible for moving our markets. By playing these, we get maximum gains with minimal risk. Its first step is to weed out low-earning and losing stocks. That means roughly 96% of all stocks you could buy are tossed out, right at the start. But even after doing this, we’re still left with 145 companies. You know by now, my system doesn’t stop there. DATA narrows the 4% watchlist down even further by reducing to the 35 stocks with a 80-95% chance of moving up in the short term. We’re now down to choosing from less than 1% of all stocks on the market. Finally, DATA focuses on tech sector companies, or companies where tech is an essential part of their business… like Amazon and Alibaba. And that’s not by accident. The 10 largest U.S. tech companies – many of which are on DATA’s watchlist right now – are expected to post aggregate sales of more than $1 trillion in 2018. If you took this pile of money, and spent one dollar every second, it would take you 31,688 years. This is why I designed DATA to focus only on the best, most liquid, tech stocks… by targeting companies with a market cap of at least $1 billion. Once these filters have been run, DATA then reviews every bit of fundamental and technical data on each company. And, because it’s an AI system, it also scans news, economic data, market information, and a lot more. DATA also reviews more than a dozen of my preferred indicators. These indicators are critical to determine when a stock is on the rise in a volatile market. And, just as important, when a stock is set to fall. This is how it “sees” when stocks are ripe for the picking – or when they’re ready to plunge. Finally, DATA ranks these remaining “ripe” stocks and, from my filters, I decide which to recommend to you. This is how we saw total potential gains of 304% with PayPal. We jumped in after the stock took a breather, before it started to climb again. Then, we got out before it repeated its fall. And this happened in just 28 days, as you can see below! Another hot stock identified by DATA was Square (the digital payment transaction company), also dropped earlier this year. But DATA forecasted an increase for at least 22 trading days in early February. As you can see in the following chart, we got in when prices were low… and out with a 79% gain in just 17 days. But DATA called for the stock to climb in early December – which it did. We jumped in for total possible gains of 176% in 28 days. And we were out well before the stock dropped. But in May, DATA signalled it was ready for a climb. We got in, and out, in 31 days. Making 108%. With that trade alone, you could have doubled your money in just one month. And, because DATA averages gains like these in under a month, you could do this again and again, throughout the year. That could add an extra $1,000… $3,000… or $5,000 to your bank account every month. You could enjoy the little extras that make life special – like dinners out or an extra game of golf. Or you could just enjoy watching your retirement fund grow. This is the power of DATA and its AI algorithms. You can see why Eric Schmidt – the Executive Chair of Alphabet – thinks all investing will be handled by AI within 50 years. Sure, a handful of firms and hedge funds offer AI-driven investments now. But, with management fees and commissions, these options are notoriously expensive. And I don’t even want to mention how much it costs to have a team of software engineers customize an AI trading system. Fortunately, you won’t have to worry about it. Because DATA is an AI system for investors like you and me. I spent months and thousands of dollars working with software engineers to develop it. Until I was satisfied that every trade I made had an 80-95% chance of being a winner. After getting to that point, I used DATA with a small group of investors last year. It’s hit on 20 stock recommendations, with individual gains that include 13.84%, 13.96% and even 18.10%. Remember, each of these winners was held less than a month on average. It’s hit on 50% of its call options recommendations, delivering 13 double-digit winners and 8 triple-digit whoppers, including individual gains as high as 304%. If hitting 1 of every 2 options plays doesn’t sound like a lot, remember this: on average, 90% of all call options expire worthless. Plus, each of these winners was held less than a month, on average. As an AI system, DATA is constantly improving itself. That’s why I’m expecting even better results in the year ahead for my Hi-Tech Trader service. Today, I’d like you to join – the sooner, the better. This is your starting point for my new service called Hi-Tech Trader. This service is my way of giving you trades that can double your money, on average, in under a month. I’ll give you details on how you can be a part of this elite group in just a few moments. How is it possible to make triple-digit gains this quickly? Yet it’s another thing to see gains of 304% in 28 days. It’s a simple options play. Now, I know many investors are nervous about options. And you may be, too. You may have never used options before. Or you may have tried them, and it didn’t work out the way you thought it would. In over 30 years of trading, I’ve found options to be the perfect vehicle for growing money fast, while minimizing risk. For one thing, they’re simple to use. You can place my options recommendations in almost any brokerage account. There’s nothing special required in most. Plus, options cost far less than stocks. You can often get in for as little as $500. Yet the profit opportunity is explosive. In December, DATA gave the signal that STMicroelectronics was on the rise. And the stock shot up 13.8% in 28 days. Yet, in that same time frame, total potential returns from the options play amounted to 176%. That’s almost 13 times more than the shares alone. The stock climbed 5% in 21 days. But the options climbed 71%. That’s roughly 14 times better than the stock. The stock jumped 7.1% in 31 days. But the options soared by 108%. That’s almost 15 times higher. Bottom line… options have the power to make you a lot more money than stocks alone. And they’re just as easy to buy as stocks. Because I’ve prepared a special get-started report called, Options 101: How to Trade Like the Pros. It tells you everything you need to know about trading options. And you can sit back and read it at your leisure. I’ll send it to you FREE, when you join my new service Hi-Tech Trader. My 30+ years of trading experience combined with the power of Artificial Intelligence. And you won’t have to pay expensive hedge fund fees to get it. We’re going for fast, triple-digit gains. And I’m 100% sure my DATA system can deliver money-doubling wins each month on average at least. That’s why I’m willing to put my money on the line. I’ll tell you about my guarantee in a minute. I’ve designed this system to be as easy as possible for you, while DATA and I do the work. DATA runs 24/7, sorting through millions of data points and identifying patterns. I jump in with my proprietary analysis and pinpoint the best companies to recommend. From those, I search for the best options opportunities available. Keep in mind… for every stock, there can be dozens, even hundreds, of possible options. But I consider specific factors… liquidity, trading volume, and option price, to name a few. When I find an option that gives us an opportunity to double our money, I contact you, immediately. All you need to do is follow my instructions. It will only take a few minutes. Keep in mind, there is always some risk in trading. So, money you invest in options should be money you can afford to lose. But you get my recommendations for both the stock and the option. You can invest in both… or in just the stock. Either way, I keep you informed with regular updates. My investors’ trust is something I take very seriously. After all, this is your hard-earned money at stake. Which is why I want you to have solid opportunities to make double- and triple-digit gains – and make them fast. I’d like you to be a part of Hi-Tech Trader and get the chance to double your money every month… starting today. Urgent action alerts: The market can move quickly and, when it does, I want to make sure you get every single cent of profit. That’s why I send time-sensitive email or text alerts, as needed, so you know exactly when to take action. A full year’s membership in Hi-Tech Trader: You get my research and 30+ years of experience, PLUS the full benefit of my artificial intelligence system, DATA… focused on trades that could double your money, in less than a month, on average. Quarterly, members-only conference calls: It’s my job is to keep an eye on world markets and events on the horizon – good or bad. So, every quarter, I hold a members-only conference call to fill you in on the latest news. And, more importantly, I tell you what we can expect in the days and weeks ahead. The Hi-Tech Trader members-only website: This is where you’ll find all current recommendations, along with every alert I have ever issued. You also have access to all special reports and recordings of our members-only conference calls. 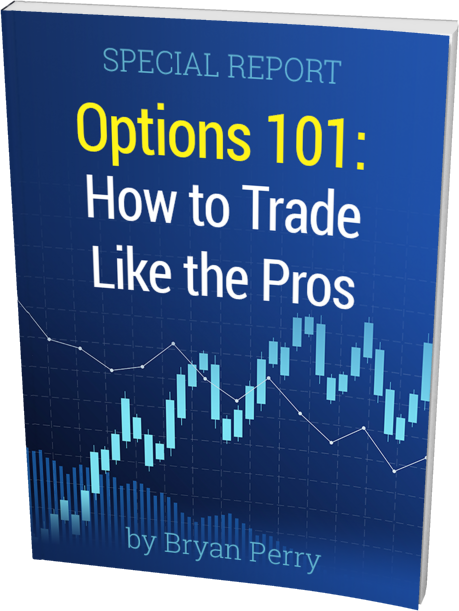 Your exclusive report, Options 101: How to Train Like the Pros: This special report will get you started quickly, even if you’ve never invested in options before. Hi-Tech Trader gives you everything you need to rake in double- and triple-digit profits every month. You could invest a small amount of money and then double it every month. What would you choose to spend this money on? The little extras, like going out for dinner with friends? Getting that new car you’ve had your eye on? Or paying off your mortgage faster? This is the power of making fast money, right now. And you don’t have to change anything with your long term investments. You just enjoy your windfall, every month, to use any way you like. For example, let’s say you invested $1,000 on your first trade. You double your money, and take your original investment off the table. You invest your winnings on the next trade – and double your money again. Then you roll it over and over into the next trade… until you double your money four times. That $1,000 would now be $16,000. And you got this without risking your original investment. Now, I can’t guarantee it will always go like this. We usually make about two trades every month. And, remember, we get in with a 80-95% certainty that the stock is going up. But that still means we lose on some. If that bothers you, I completely understand. You may want to stop reading here. You’re not content with the status quo. And you recognize the value of using leading-edge AI technology with a system designed to reduce your risk, while maximizing your gains. Hi-Tech Trader normally retails for $1,995. Considering what you’d pay to invest in a hedge fund’s AI system, this is an incredible bargain. But, today, you can grab a full year of Hi-Tech Trader for just $995. That’s $1,000 off our normal price. You could cover the cost of this service with just one trade. But that’s not the only reason why you should get in now. Like I said, my DATA system is constantly improving itself. So, as it becomes better and better, I may have to hike up the price to keep enrollment low. So to get this special offer, you need to act now. Once you do, you’ll be covered by my 30-day Satisfaction Guarantee. If at any time during your first 30 days as a Hi-Tech Trader member, you’re not completely satisfied with the service, just let us know. You’ll get a full refund of your entire membership fee. I do this to keep tire kickers out. As I said, this service is for people who are serious about doubling their money every month… and who can also handle the occasional loss. However, $995 is no small stake. That’s an average of one 100% winner (at least) every month. So write this guarantee down. Keep it in a place where you won’t forget it. Because if I don’t deliver, I will give you a second year of Hi-Tech Trader completely free of charge. With 500 readers taking advantage of membership, that would amount to a $995 payout for each and every one. If I don’t bring in the gains I promised, this guarantee could cost me a bundle. $497,500 to be exact. Yet even with this, I want to do one more thing for you. Call it an extra layer of protection. If at any time over the next year, for whatever reason, you are not comfortable with Hi-Tech Trader, just call our Customer Services team. They will help you exchange your membership for any one of my other services. You can pick one that better fits your needs. But I don’t think it will come to this. Because, as I speak, we have new trades on the books. Putting an extra $1,000… $3,000… $5,000… or more in your pocket every month. As soon as you join, I’ll send your welcome package and introductory email, so you can get started right away. Along with your first trades as a Hi-Tech Trader member. Then, I’ll be with you, every step of the way, for an entire year. You will get two to three trades, each month, with detailed instructions on what to buy and when. Just as important, I’ll tell you when to sell. And if things change faster than expected, I’ll send alerts by email or text, telling you exactly what to do. I will work for you – at no charge – for another full year. Or, if you’re not comfortable with Hi-Tech Trader for any reason, you can exchange it for one of my other services – at any time during your first year as a member. The bottom line is… you can choose what you want to do. Including choosing what to do with your profits. You can join me in Hi-Tech Trader today. Or you can keep going with the status quo. But I’m betting you’ll join us. And I look forward to helping you profit. To get started now, click the button below.